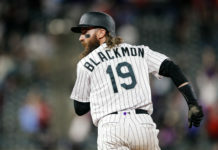 The reputation surrounding the Colorado Rockies throughout their existence as a franchise has been based on their offense and the ability to put up crooked numbers on a nightly basis. 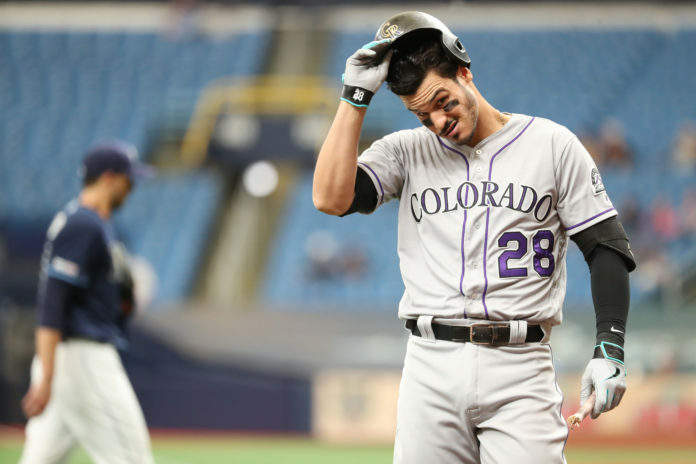 So far in 2019, the mighty Rockies’ offense has struggled to get going and as a result, they have a sub-.500 record this season. Over the course of their seven-game road trip to start the season, the Rockies hit a measly .194 as a team, striking out 12 or more times in four of the seven games away from home. 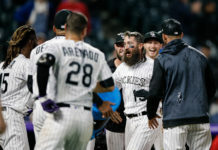 The drought at the plate has thrown fans into an uproar with many internally believing the fanbase is overreacting to Colorado’s poor start, including franchise cornerstone Nolan Areando. Colorado’s hitting woes have stretched to the entire lineup. The Rockies have scored an average of 2.8 runs per game through their first nine games. One of the reasons the Rockies’ lineup has struggled to catch fire in part is due to pressing during at-bat’s. The Rockies have struggled to string hits together, especially with runners in scoring position. Colorado is batting .250 with runners in scoring position and .220 with men on base. Part of the problem stems from the Rockies’ aggressive nature at the dish. The most frustrating part of the Rockies’ struggles at the dish is that it comes at a time when their pitching staff has done a marginal job, keeping the club in every game they have played thus far. The downfall of the Rockies is their biggest strength on paper: offense. While Colorado’s offense has struggled in all areas this season, where they need to improve most is late in games. The Rockies’ are hitting .183 collectively in the final three innings. Things have not gone according to the plan for the boys on Blake so far throughout the season. Between a sluggish offense and dealing with injuries, the Rockies have looked asleep at the wheel so far this year. The Rockies will continue to remain aggressive in the batter’s box as they try to dig themselves out of their slow start; however, if they continue to struggle past the early portion of the season, it could develop into a long, bitter summer for the club and their fanbase. The Rockies are not just dying by being aggressive, they are being strolled to the slaughterhouse on nearly a nightly basis so far this season.